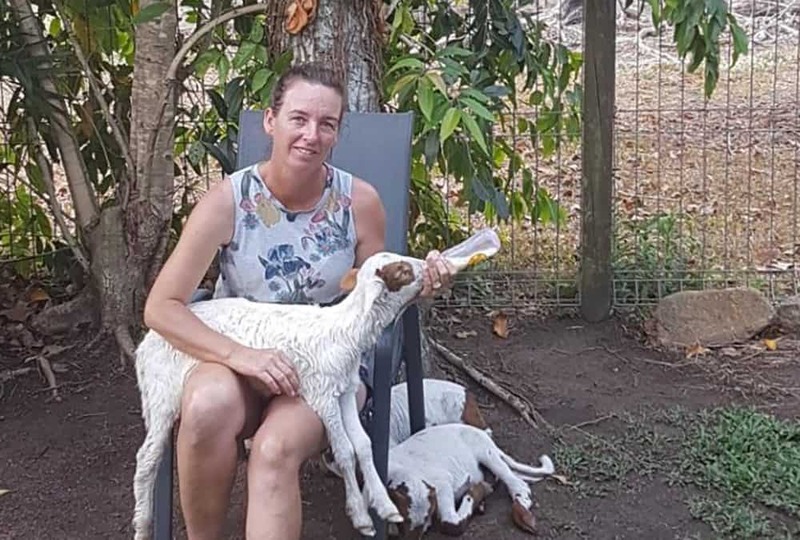 Here is the story of Sally the lamb who recovered from a Paralysis Tick bite using VF Herbal Remedies. 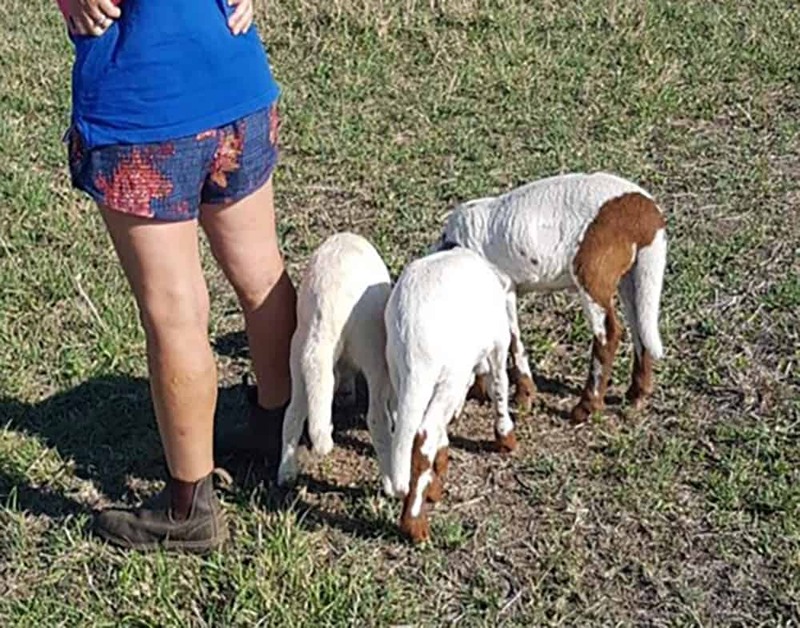 My wonderful clients Katrina and David Faust from Proserpine in north Qld, run St Francis Farm, a farming operation using biodynamic principles. They always keep on hand a fully stocked Just-in-Case First Aid Kit. Recently, Sally a 4 week old Damara lamb, was found unable to move because of a bite from a Paralysis Tick. Katrina immediately removed the engorged tick very carefully using tweezers, from her upper foreleg, making sure nothing was left behind. She applied Artisan Skin Balm to the area and orally administered electrolytesHerbioticRosehips & Echinacea Formula and cleansed her eyes with Alleviate Eye Wash.
David asked me what else could be done and I recommended applying Eucalyptus Essential Oil on the bite site prior to using the balm. He also made up a sling to support Sally and Tina regularly massaged her legs. I also asked them to obtain homeopathic Hypericum quickly, which they were able to do. Sally was initially dosed with 2 pillules then a liquid dose of 1 dissolved pillule three times daily. After one day Sally gained more movement with her head and the next morning (day 5) she was able to stand and started to put weight on four legs, then took six fairly stead steps! She was treated for 4 days with the homeopathic Hypericum, she was sick for 2 days prior to that, so on day 6 Tina found her walking when she went out to check Sally in the morning. 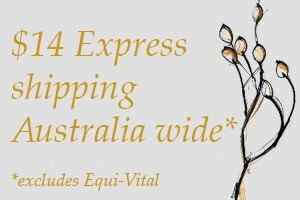 This is a sensational result, not to mention really inexpensive, and would definitely be worth using on any animal affected by Paralysis Tick Bite. I have used this remedy a few times on horses and a cat, on the advice of my colleague Lisa Hailes ND. She has also used this remedy successfully with a donkey who had run into a strainer post, and had extensive nerve damage. The really interesting point here is that there can be no placebo affect with animals.